So recently I started to think about what my favourite motorsport category is. For years it has been F1 but I realised it has changed to BTCC for many reasons. So I asked on twitter for people to message me with their favourite motorsport category and why. I was overwhelmed by the amount of people willing to help a small blogger like myself so thank you everyone who took the time to help me. @Craig_O_F1 informed me his favourite category right now is Moto 3. He feels there is nothing better than waking up on a sunday morning with a coffee watching dozens strong drivers battling it out. "no other category is able to consistently deliver such brilliant racing week in, week out" I for one have not branched out over to Moto GP, 2 and 3 just yet but Craig has made me want to start watching it even more for the close racing and he told me nothing is ever decided until the last couple of laps which is insane. Shows anything can happen. @Beccilouise98 (of course she stepped in and helped): "For me personally my favourite is currently European F3, this series has been a stepping stone for so many drivers who currently line up on the F1 grid from the likes of Nico Rosberg, Lewis Hamilton from the first couple of seasons when the series was born to current drivers who were well known for making the jump from the series straight to F1 as Max Verstappen and Lance Stroll have done. The series provides close competitive racing especially this season with 3 different teams providing 4 drivers with opportunities" I completely agree with everything Becci has said. F3 does provide nail biting action and there are currently four drivers fighting for the championship. Joel Eriksson, Lando Norris, Maxi Gunther and Callum Ilott are giving every race weekend their all and trying to maximise points. Gunther is currently top of the standings with 266 with Norris 18 points adrift. 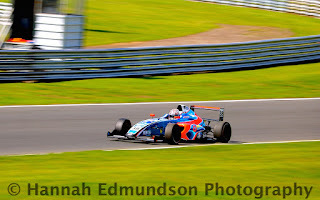 Ilott does have a way to come points wise, however it is still mathmatically possible and theres plenty of races to go. @Rushsync: "Couldn't pick a favourite category but I love WEC for the variety of machinery on track in a single race" With plenty of teams and categories to keep your eye on during a race no wonder they are always at least six hours. 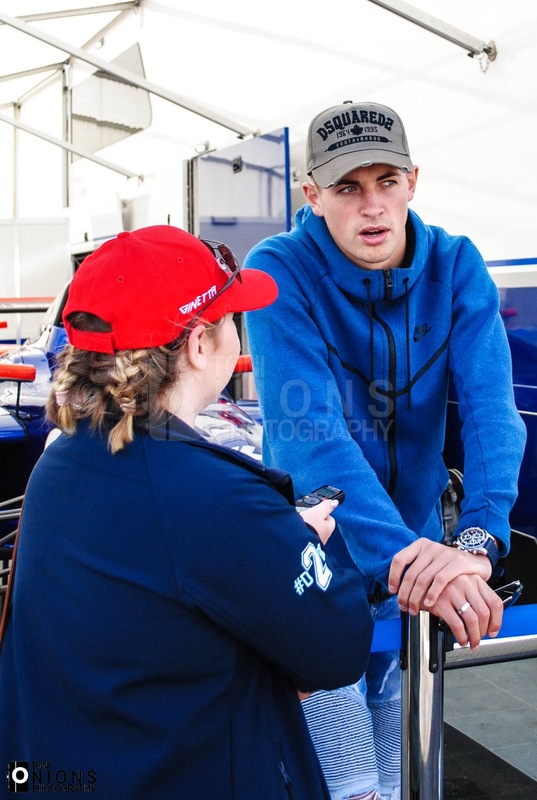 @TomVanBael told me WEC was his favourite last year, however with "audi and porsche leaving there isn't going to be a lot to watch in LMP1" His current favourite is F1 as he feels the cars are much better than last years and two teams battling for the championship is better than one. Tom also enjoys the junior categories but he is from Belgium and it is hard to watch there. 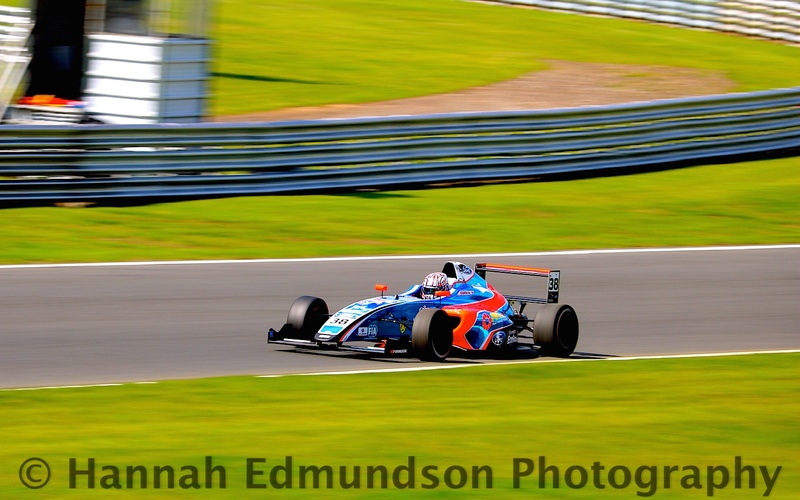 Speaking of junior categories @Joshuasuttill: "GP2. It was just fantastic, every single race featured breathtaking ation, overtakes and multiple strategic elements which elevated it above any other spec series" Josh has a point here as it is easy to forget about GP2 (now known as F2) even if it is a support package for F1. Lots of drivers who now race in F1 or FE have at one point or another raced in GP2. Lewis Hamilton, Stoffel Vandoorne, Nico Hulkenberg, Jolyon Palmer and Romain Grosjean have all won the GP2 title. FE champion Nelson Piquet Junior and race winner Sam Bird have both been runners up respectively with current FE champion Lucas DiGrassi coming third in 2008 and 2009. Lots of skillful and well respected drivers have come through this series and learnt a lot from it. My favourite response has to be from @Chloehewitt_ "Mine is DTM. Simple vanity point, all the drivers have different liveries so it is easy to tell the drivers apart. Racing is constant edge of your seat stuff with second races at the Norisring and Moscow Raceway proving this. The fact a number of former F1 drivers moved to this category after leaving shows how highly rated it is. A big bonus is how cheap it is for what you get. I went to Nurburgring last year and paid 35 euros (discounted but full price is only 75) and that got me entry for three days, grandstand seating and paddock entry. Not many series offer anywhere near as much access as DTM does, half an hour before the races I was in the pitlane meeting the drivers. Plus the passion the fans have for the series is infectious" Okay, it may be infectious as Chloe as now made me want to binge watch the whole season so far! Sounds like if you like having a lot of access to places on a race weekend and having an incredible weekend experience with close racing then DTM is the one for you! @Nellyzav "My favourite is BTCC not just because of the exciting and close racing but also because of the great people involved, both fans, drivers/team members. Im very lucky to have made close life long friends from going to watch something I love which has meant I have also been lucky enough to do things which most fans dont get the chance to experience. It truly is the people that makes the series great" I had to put that bit in bold as I could not agree more with that statement and I think every motorsport fan who has been lucky enough to go to a race wherever it is can relate to that as the people do make the biggest difference. 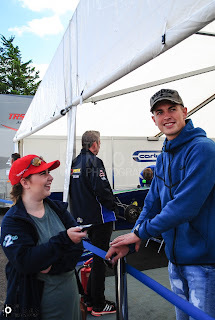 And we all know I love BTCC and I can confirm the people from fans to teams are equally lovely. @thehoppyone "All time and current best motorsport is Indycar series, most robust drivers in all types of tracks, money is not always the winner, to be good here you need to adapt to every track and quick, take away the fact is a spec series which is more impressive the way you have to not have a bad day." Again this is a series I do not watch but will one day. Alex Rossi and Max Chilton both moved to the series after F1 and aren't doing too bad especially Rossi who has won the Indy 500. 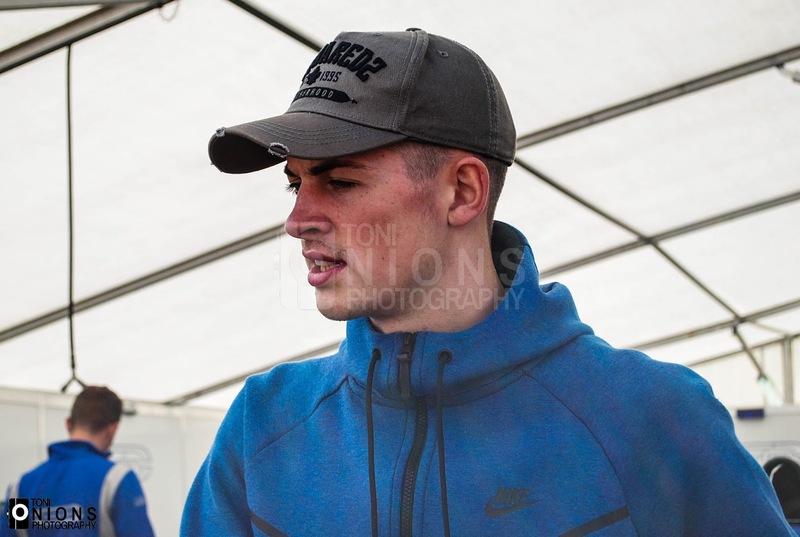 @Liam_Redford " I belive British GT is currently the best motorsport series as it offers great value for money and opportunities for drivers of all abilities to compete. Endurance racing is on the race at the moment and British GT has featured over 10 different manufacturers competing in the GT3 and GT4 classes this season. 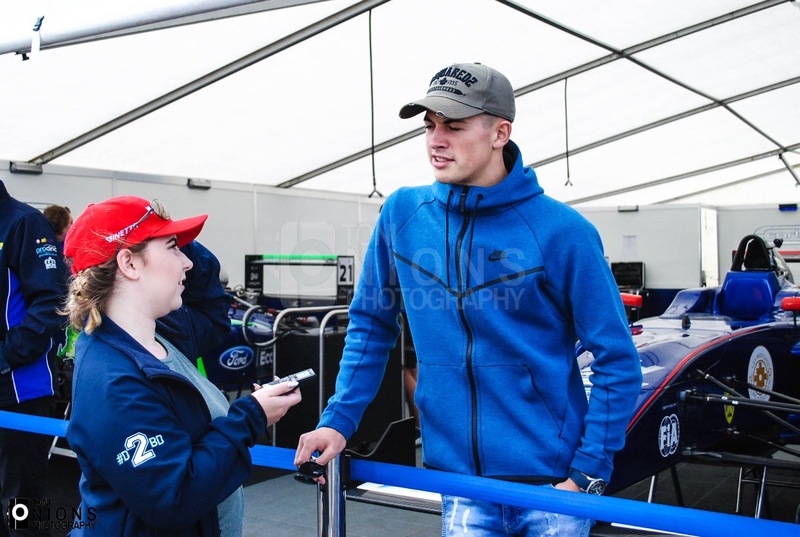 With ticket prices very reasonably prices, in addition to a fan friendly grid walk, British GT offers the opportunity for casual and dedicated fans to meet the drivers and gain a close up view of the cars. The quality of the field is second to none with currently Le Mans GTE champon Jonny Adam a permenant fixture over the past few years, while the GT4 category has seen some of the cloest and most competitive racing in the country. With the GT3 and GT4 grids set to split from next season, this could give rise to even larger entry list and ensure the population of GT racing continues to rise" You cannot argue with Liam here, he has valid points and if you knew nothing about GT, you know things now. It amazed me all the different answers I got and everyone had valid reasons. I have included everyones twitter handle so you can go and follow them and contact them if you wish to know more as I am sure they'd be happy to tell you more. It appears to me that favourites change all the time and sometimes one motorsport category can be better than another but they all have lots in common from friendly fellow fans to close racing. Each category and fan should be equally respected and different opinions encouraged as we are all one community and one family. It is clear there is no top dog in motorsport, each bring their own individual element to racing and I for one love that and will continue to embrace the difference in categories and fall more in love with the sport.